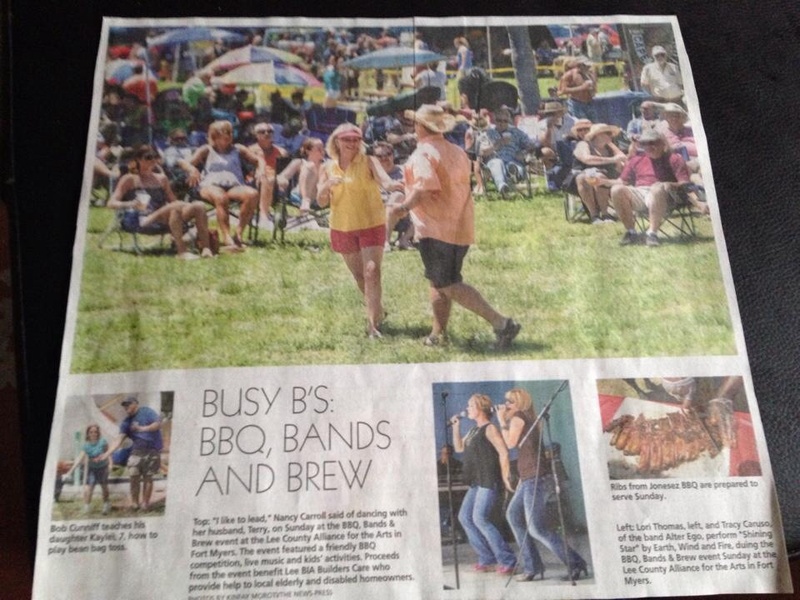 On Sunday, we went to the 5th annual Bands, Brews and BBque festival at the Art Alliance in Fort Myers. There were some of our favorite bands; -Alter Ego and Deb n the Dynamics playing great music and as usual we were dancing! Later as we were walking around a News Press photographer came up to us and asked if he could use a shot he took of us.. “Sure!” We said, and the next morning found this in the paper! It was a fun event for a good cause and a beautiful sunny day in Florida. Life is good!